Carmarthenshire Fungi: More Morels . 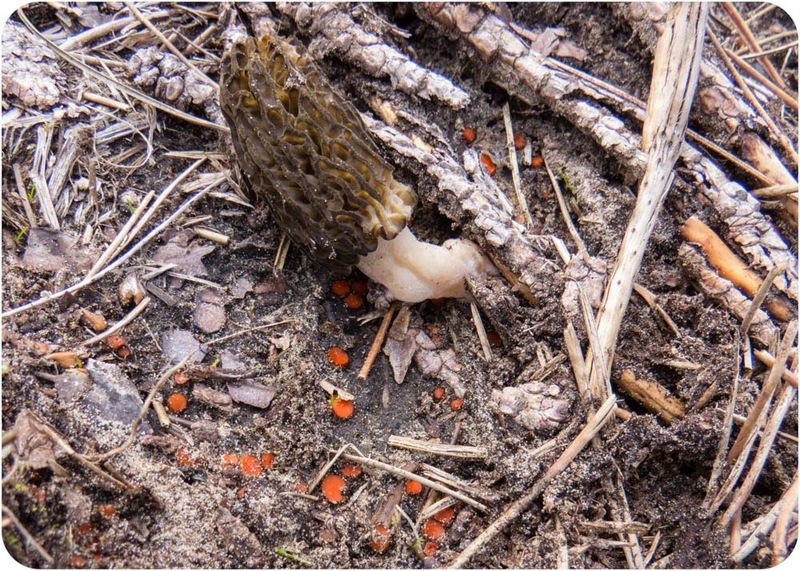 . . . . . .
More Morels . . . . . . . Many thanks for the directions Philip, managed to find the black morels you mentioned - not the sort of place you bump into though is it? Also plenty of a sp. 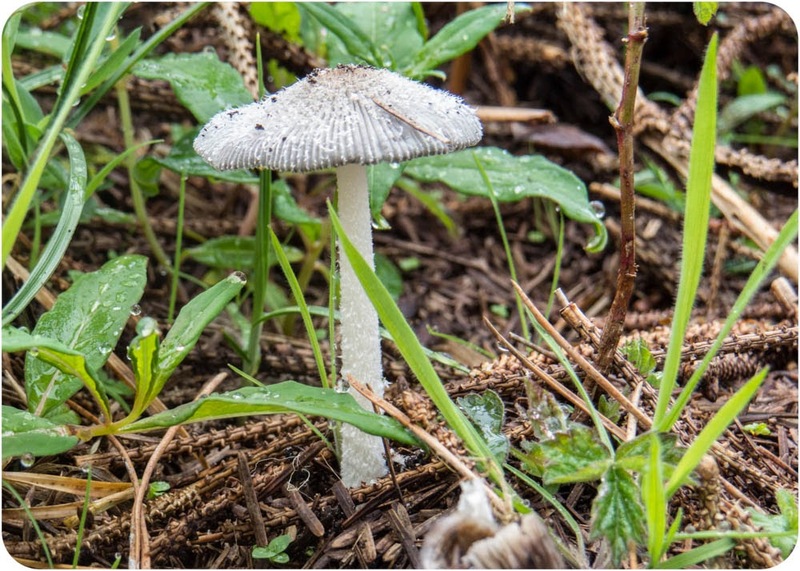 of Coprinus, which I will check the spores on later. 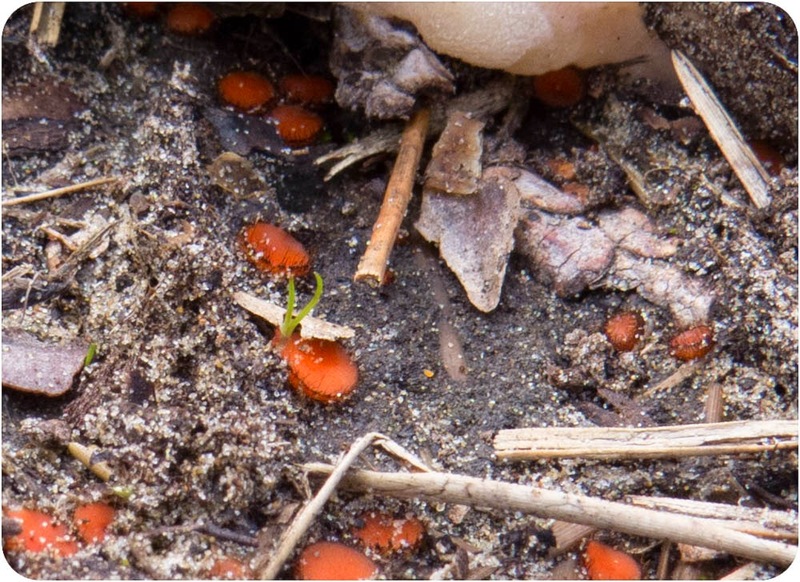 Also near one black morel was a mass of eyelash fungi (Scutellinia sp.) 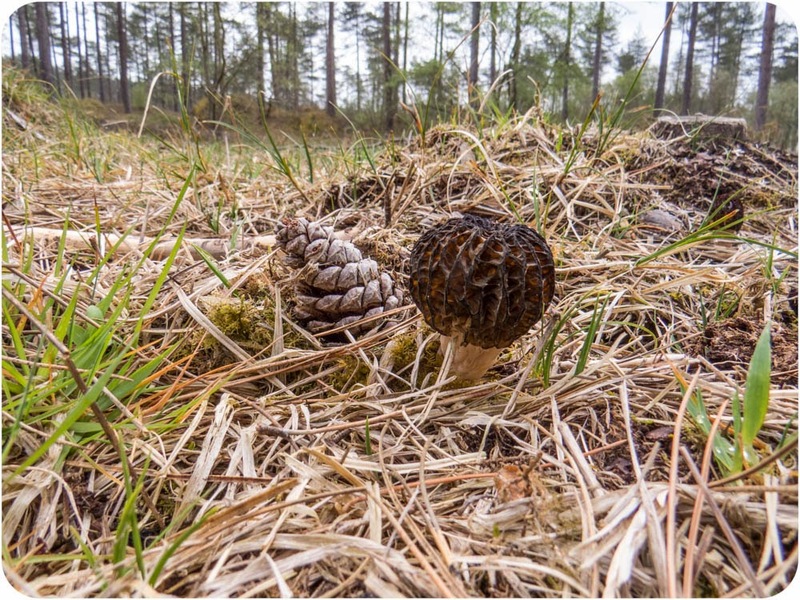 Peter Thompson describes S. pseudotrechispora as " Found growing in woods, on damp often peaty soil of woodland rides and sometimes in wheel ruts" which could fit the bill, the spore sizes and shape match as well.